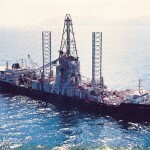 While in the United States, some of the September 11 hijackers were in contact with, and received support or assistance from, individuals who may be connected to the Saudi Government. There is information, primarily from FBI sources, that at least two of those individuals were alleged by some to be Saudi intelligence officers. The Joint Inquiry’s review confirmed that the Intelligence Community also has information, much of which has yet to be independently verified, indicating that individuals associated with Saudi Government in the United States may have other ties to al-Qa’ida and other terrorist groups. The FBI and CIA have informed the Joint Inquiry that, since the September 11 attacks, they are treating the Saudi issue seriously, but both still have only a limited understanding of the Saudi Government’s ties to terrorist elements. In their testimony, neither CIA nor FBI witnesses were able to identify definitively the extent of Saudi support for terrorist activity globally or within the United States and the extent to which such support, if it exists, is knowing or inadvertent in nature. The Central Intelligence Agency (CIA) and Department of Homeland Security Office of Intelligence and Analysis (I&A) have both responded to recent requests under the Freedom of Information Act (FOIA) for all records “related to or mentioning the website Public Intelligence” with a glomar response, refusing to admit the existence or nonexistence of records related to the request. 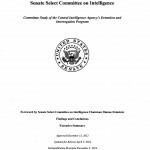 On April 3, 2014, the Senate Select Committee on Intelligence voted to send the Findings and Conclusions and the Executive Summary of its final Study on the CIA’s Detention and Interrogation Program to the President for declassification and subsequent public release. 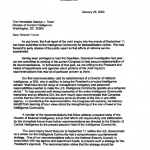 This action marked the culmination of a monumental effort that officially began with the Committee’s decision to initiate the Study in March 2009, but which had its roots in an investigation into the CIA’s destruction of videotapes of CIA detainee interrogations that began in December 2007. 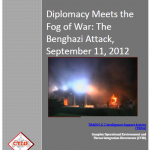 The full Committee Study, which totals more than 6,700 pages, remains classified but is now an official Senate report. 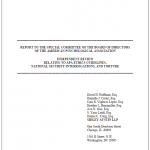 The full report has been provided to the White House, the CIA, the Department of Justice, the Department of Defense, the Department of State, and the Office of the Director of National Intelligence in the hopes that it will prevent future coercive interrogation practices and inform the management of other covert action programs. 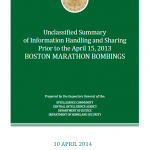 On April 15, 2013, two pressure cooker bombs placed near the finish line of the Boston Marathon detonated within seconds of each other, killing three and injuring more than two hundred people. Law enforcement officials identified brothers Tamerlan and Dzhokhar Tsarnaev as primary suspects in the bombings. After an extensive search for the then-unidentified suspects, law enforcement officials encountered Tamerlan and Dzhokhar Tsarnaev in Watertown, Massachusetts. Tamerlan Tsarnaev was shot during the encounter and was pronounced dead shortly thereafter. Dzhokhar Tsarnaev, who fled the scene, was apprehended the following day and remains in federal custody. Tax returns for the CIA’s venture capital firm In-Q-Tel, Inc. spanning from tax year 2000-2011. A number of hacked emails from the private intelligence firm Stratfor have shed light on a global suspicious activity surveillance system called TrapWire, that is reportedly in use in locations around the world from the London Stock Exchange to the White House. The emails, which were released yesterday by WikiLeaks, provide information on the extent and operations of a system designed to correlate suspicious activity reports and other evidence that may indicate surveillance connected with a potential terrorist attack. A formerly classified document from 1952 on the CIA’s Project BLUEBIRD, an offshoot of Project MKULTRA. 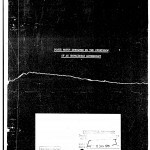 A CIA Inspector General report written in 1963 following an investigation into the Agency’s MKULTRA program. The Office of the Director of National Intelligence (ODNI) is building a computer system capable of automatically analyzing the massive quantities of data gathered across the entire intelligence community and extracting information on specific entities and their relationships to one another. The system which is called Catalyst is part of a larger effort by ODNI to create software and computer systems capable of knowledge management, entity extraction and semantic integration, enabling greater analysis and understanding of complex, multi-source intelligence throughout the government. In certain parts of the US government, when an operation has unintended negative second or third-order consequences, they are called “blowback.” The radical Islamic movements in the Pashtun areas today were always present, but putting them on steroids in the 1980’s was pretty short-sighted by any reasonable accounting — a classic case of “blowback.” During the Soviet-Afghan war, the Pakistanis had their own agenda. The Pakistani Army’s intelligence branch, called the Inter-Services Intelligence Directorate, or ISI, became extremely powerful by cooperating with the United States and the government of Saudi Arabia to channel roughly $7.2 billion dollars worth of covert foreign military aid to their preferred Mujahideen clients. To control the Mujahideen, the ISI formed seven resistance groups, each with a notional political party associated with it. These became known as “the Peshawar Seven.” CIA oversight of the covert money was weak, and much of it went into ISI’s pockets. 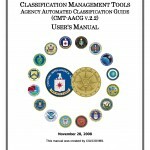 Central Intelligence Agency Classification Management and Collaboration Group (CMCG) Classification Process Quick Reference Guide (QRG) from 2008. 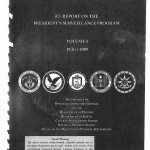 Documents concerning CIA rendition of terrorism suspects, with the help of the UK, recovered from the offices of Libyan intelligence and published by Human Rights Watch. Mysterious guesthouses have been established in Abottabad’s famous residential area. It has been revealed that Blackwater officials are living there. Important persons regularly visit these guesthouses, and there are fears that the peace and stability in Abottabad may be affected. According to the details received, there are many guesthouses in Abottabad where immoral activities take place at night and meetings in the name of NGOs are arranged during the day. As soon as the night falls, suspicious persons start coming to these guesthouses. The Washington Post has changed significant portions of an article published earlier today regarding the CIA’s payment of large numbers of people within Hamid Karzai’s administration in Afghanistan. These changes occur mostly in the beginning of the article and substantially manipulate its content. Most notable among the changes is the complete elimination of a quote describing how “half of Karzai’s palace” is on the CIA payroll. This quote, from an anonymous U.S. government official, was replaced with a paraphrased statement that “a significant number” of officials in Karzai’s administration are paid by the CIA. This alteration is followed by a quote from a CIA spokesman, which does not appear in the original article, who says that the “anonymous source appears driven by ignorance, malice or both.” Another significant quote from this anonymous source, detailing how Kazai is “blind to about 80 percent of what’s going on below him”, was also completely eliminated from the article. There are also a number of smaller changes all of which are designed to eliminate the perception of ignorance, malfeasance, and public perception that the Afghan government is almost wholly owned by the CIA. (U//FOUO) CIA Open Source Works Report on Afghanistan: Lessons of the Soviet War, March 27, 2009.